French Socialist President Francois Hollande has visited Mali in an effort to claim victory over targeted Islamic groups based in the central and northern regions of this vast West African state. The president visited the capital of Bamako and the cities of Sevare and Timbuktu. A staged rally in Timbuktu made it appear as if Hollande was the savior of the Malian nation. In his speech he failed to address the allegations of civilian deaths and injuries among people in the areas that have been bombed by French war planes since January 11. The French leader told the media and crowds in Timbuktu that the war in Mali was not over. He did say that France would withdraw its troops from Mali as soon as a West African regional force was in place inside the country. In the immediate aftermath of the Hollande visit, dozens of French war planes escalated their attacks on several areas in the north. Under the guise of disabling supply routes for the designated “terrorists” groups, the mountainous north-east region around Kidal and Tessalit was pounded. For months reports have been emanating from areas under the control of various Islamist organizations indicating that fundamental rights of the local population groups have been violated. These alleged atrocities committed by Islamist groups in northern and central Mali have been utilized as a pretext for the intervention of France which is being backed up by the United States and other NATO countries. Nonetheless, there has been far less attention paid to the allegations made that the military invasion by France is leading to the deaths of numerous Malians through aerial bombardments and ground operations by both the French and Malian military forces. Accusations of beatings, torture and killings have been documented through organizations such as Amnesty International, Human Rights Watch and the United Nations. On Feb. 1, Adama Dieng, a special adviser to UN Secretary General Ban Ki-moon on the prevention of genocide, reported that there have been “serious allegations” of extrajudicial executions by the Malian army. Other stories are emerging of civilians killed by bombs and the impact of the aerial bombardments on the ability of people to have adequate food, drinking water and medical attention. The International Committee of the Red Cross is seeking access to prisoners being held by the Malian army. Spokespersons for the Malian government have not been forthcoming with information on the status of these prisoners. Right across the border from Mali in Niger, the U.S. and France have enhanced their military presence. At present Paris has deployed Special Forces units to ostensibly “protect” the uranium mines inside this West African state. Areva, a French-owned firm, plays a major role in mining uranium in Niger. The country is the world’s fifth largest producer of the strategic resource used in the technology, energy, medical and military industries. President Issoufou told French TV 5 that “We decided, especially in light of what happened in Algeria…not to take risks and strengthen the protection of mining sites.” Areva obtains a large portion of its uranium from two mines in Niger located at Arlit and Imouraren. 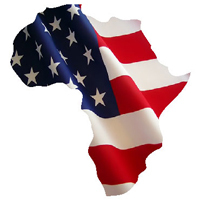 At the same time, the U.S. government has announced two agreements with the Niger government for the deployment of troops as well as a drone base inside the country on the border with Mali. The drone base is designed to enhance the intelligence gathering capability of the Pentagon in West Africa. These military agreements and adventures are taking place within the context of a worsening economic crisis in Europe and the U.S. The French economy is suffering from escalating debt and rising unemployment and the U.S. is facing a mounting fiscal crisis along with a negative growth rate. British Prime Minister David Cameron also visited Algeria and Libya just prior to the trip by Hollande to Mali. Cameron’s visit to Libya came amid a warning by London that British citizens should leave the same country which was bombed extensively by the Royal Air Force along with Pentagon and NATO forces in 2011. In Algeria, armed combatant seized the In Amenas gas field in January that resulted in the deaths of over 80 people and the injuring of many more. Britain, France and the U.S. are all seeking to protect their economic interests in both West and North Africa.